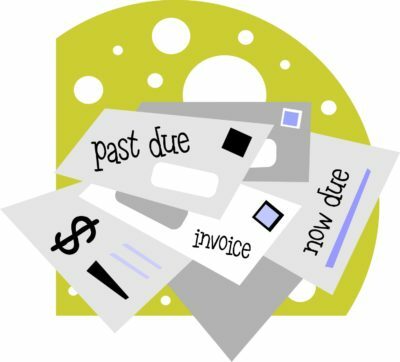 “Past due” are not happy words to hear when it comes to invoices from your vendors. At this time of year, as we build inventory for the hopefully busy holiday season, it is easy to fall short of funds. How can you pay all these bills as they come due? Ideally, you have planned ahead and arranged for a line of credit at a local bank. This type of short-term loan is perfect for paying the increase in invoices in November and December, since it doesn’t need to be paid back until you’ve gotten the income from holiday sales. But a bank is not likely to give you a line of credit if you are already in a bind. Next year! It’s tempting to use a credit card for the amount that you need to borrow right away by playing the “float” period, however you need to be very careful about the amount of interest you’ll be paying if you miss the due date. If you don’t think you’ll be able to pay the full amount in time, a new card with a low introductory rate might be a short-term solution. You may also have a family member or friend willing to loan you money for a few months. Be sure to write this type of financial arrangement up as formally as you would any other loan, and be realistic about when you will be able to pay the principle back. You should also plan to add a reasonable amount of interest. 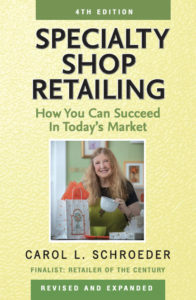 Do you have any inventory you can turn into quick cash? Perhaps there is something that you could sell via eBay to bring in some of the funds you need. Some stores hold a “20% off everything” sale if they really need to raise some money in a hurry, or offer some other very tempting promotion. If you don’t have any options for finding the funds to pay your vendors in a timely manner, don’t just let the bills pile up. Contact the companies and work out a payment plan that shows your sincerity in honoring your pledge to pay for merchandise you’ve received. Leaning on the trade by just being late in your payments is a poor business practice.